It is a curious thought that Shostakovich and Tchaikovsky were composers both from the same country, born just 65 years apart, wrote music vastly different in spirit and identity, and yet there is no question that both were creating definitively Russian work. On Sunday, at the Isabella Stewart Gardner Museum, The Borromeo Quartet with guest violist Marcus Thompson and cellist Blaise Déjardin presented this unique and exhilarating pairing with authority and duende. Now celebrating its 25th anniversary, the Borromeo Quartet is thinking about the future of art-music, and not just about making beautiful sounds in the moment. The ensemble performs from scanned full scores (often original manuscripts) via tablets and laptops, and also has created the “Borromeo Living Archive” —a growing library of live audio and video recordings of its own concerts distributed directly from its website. It never feels that these efforts approach novelty as simply a way to stand out. No, the singularity of the Borromeo derives from its intellectual, spiritual and musical perspectives. Shostakovich’s String Quartet No.12 in D-flat Major, Op.133 cross-fertilizes old and new, with everything from Beethoven quotes to serpentine 12-tone rows á la Arnold Schoenberg. This quartet comes later in Shostakovich’s life, when his life and work was no longer being shadowed by Stalin’s regime. He had, after all, narrowly escaped punishment for his experimentation with Western Avant-garde principles earlier in his career. With Stalin long dead, he felt more free to join the already thriving practice of experimenting with serialism. Shostakovich chose a more private and intimate form: the string quartet. This allowed him to fly under the ideological radar, and associate only with his most trusted allies. Shostakovich makes his intentions clear by beginning the work with a 12-tone row, that is, a sequence where every note is played once before repeating. At the same time he gives a key signature for the piece, indicating its tonal nature. The work is not without inside humor as well, as the end of his twelve-tone row is A-flat – D-flat, which puts the piece definitively into D-flat Major. 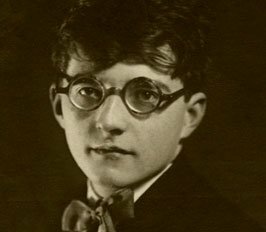 It’s safe to say that serialism constituted simply one color on Shostakovich’s palette, and not an idée fixe. Borromeo represented all of the various shadings, from the contemplative and abstract, to the petulant and ironic. From the start, the audience was treated to some gorgeous legato playing, especially from the first violinist and the cellist. This is not entirely common now, as there is a phenomenon among modern string players where legato notes are separated with a version of portato technique—often subconsciously. Although portato has seen beautiful usage before, one of the best examples being violinist Henryk Szeryng [here], modern uses of the technique tend to separate the notes in a more choppy fashion, possibly in hopes to be heard and sound articulate [here]. All tempo changes in the first movement were executed with fluency. The second movement, which is considerably longer, takes us into the darker regions of this work. A particularly bizarre and intense moment occurred when the first violin part had a sort of cadenza using only pizzicato. One seems to hear the tread of death itself, and Nicholas Kitchen executed this convincingly. In a recurring section, Shostakovich creates an interplay between a muted funeral choir and a single voice reciting a stinging soliloquy for the deceased. The muted instruments could have been less robust and warm; a more disembodied and desolate sound color; perhaps playing senza vibrato might have served the music. Although against Shostakovich’s markings, I would be curious to hear the restatements of the analogous phrases colored differently each time. Borromeo did not ignore the paroxysm of quadruple stops (plucked and bowed), which seemed to encompass the torment of the entire work in a brief moment. One can sometimes notice from string quartets of the past, such as the iconic Guarneri, that the more closely related the playing styles of the two violinists, the more impressive the unity of the ensemble. It is interesting to note that Borromeo’s violinists Nicholas Kitchen and Kristopher Tong are players differing in style, technique and age. Their natural manner of using the bow differs. Kitchen prefers a lighter tone with more bow, while Tong has a more compact bow technique. This really suits Shostakovich in particular, as Kitchen’s sound allowed his lines to float almost out of body, while Tong’s sound was always grounding, matching the way Shostakovich scored the work. Both are tremendously flexible players, which allows them to change, adapt as they envision. Despite these differences, the zealous focus on communication and unity was there, creating a successful and intense partnership throughout the piece. They also used a superior seating position, sitting across from each other and not side by side, which encouraged direct interaction. Shostakovich took me from desiccated tone rows to a life affirming (though still traveling under a dark cloud) culmination in D-flat Major, and Borromeo was right there with him. The classically structured first movement was played with extra pointed rhythms and articulation, maybe foreshadowing the character of the third and fourth movements a bit early. The ensemble didn’t miss the strikingly beautiful transition into B-flat major, complete with a flavor of echt Russian nostalgia drawn from the tenderly voiced F-sharp dim/B-flat resolving to G-minor chords. The second movement unfolded with great ease and gracious warmth. Especially impactful was the middle section, which is marked with the improbable “pppp”. The ensemble’s convincing texture here did justice to the concept, and it felt like a sort of summer lightning, only to conclude with a limpid revisiting of the initial themes. 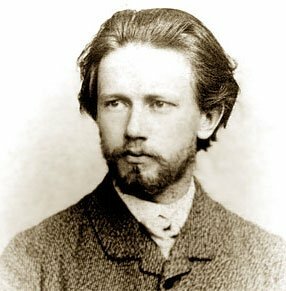 Many ensembles get stuck in the physicality of the detaché triplet bowing and miss the underlying character which Tchaikovsky envisioned. The ensemble opted for a lighter and more percussive pizzicato throughout the movement’s accompanying lines, while some would choose a thicker and warmer approach. In the latter movements, Tchaikovsky marries perfectly Slavic themes with fugal counterpoint. This violinist-reviewer appreciates the use of original bowings in the initial theme of third movement, as it creates a pleasing symmetry of phrase. In the fourth movement, the ensemble took the Tempo giusto at a tempo slightly slower than the Tempo primo, which I think Tchaikovsky would approve of, as it emphasized a contrapuntal and architectural nature. The boisterous leadership of Nicholas Kitchen proved infectious, creating an untroubled yet irrepressible atmosphere. The six players seemed absorbed in sonority, as was the audience. After each movement and without fail, the concertgoer next to me let out a fluttering and euphoric breath, as if she had been holding it the whole time. This comes less through a colossal sound or showmanship than from an understated and intense sound full of core and varying textures. Most importantly, their whole approach produces a sensation of hearing something for the first time. That depends on an invitation to the performers, to the person in the third row, and even the composer, if living, to ditch all preconceived notions. This requires willpower and extraordinary ability, but this is vital if we are going to dazzle audiences with Haydn, Schubert, Mozart, and indeed Tchaikovsky, for hundreds of years to come. Daniel Kurganov is a violinist and educator based in Boston. In addition to regularly performing worldwide, he is devoted to furthering the understanding of style, technique, and exemplification in musical practice, as well as expanding the tools of a musician through technology and cross-cultural reciprocity. Dundee is related to Spanish music (flamenco ahead) or at least improvisation. Mis-use of a very powerful word. ‘Duende’ is strong ability to charm / attract etc. The great Garcia Lorca gave a lecture in 1933 on “juego y teoria del duende.” He would know! Delighted to have a chance to commune with such a marvelous word… Muchas gracias!! I would never use Dunde around flamenco players or Spanish poets in such a translation as mere charm. It is more akin to Ma in Japanese traditional music (see Confronting Silence by Takemitsu). When those of other traditions lap the term on as amateur cook does a spice on a dish, the term looses it power. (see Lorca’s description of new flamenco being just polka-dot outfits). Lorca’s use was much darker and hinted at how it is a moment that words can’t describe. His description of dance and struggle that exists personifies it. The review equates it with virtuosity, which the Borromeo has in spades. But Tchaikovsky…no. Charm and Speed: Virtuosity in the Performing Arts Paperback by Christie Victoria is a wonderful academic exploration of the question, though it uses charm in the 19th century meaning, and the darker force of duende is left to the artists where it belongs.